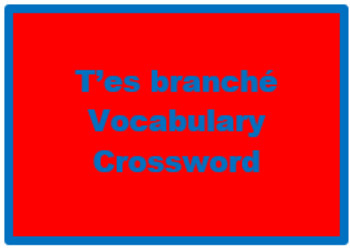 Crossword for the vocabulary in lesson A unit 4 of T'es branché 3. 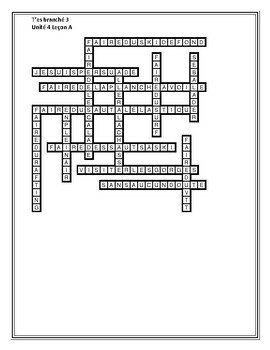 5 versions. 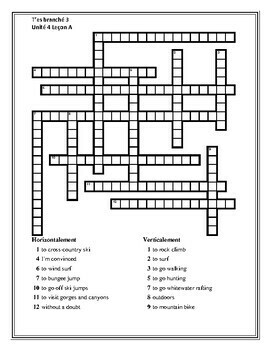 All clues are in English, all answers are in French.